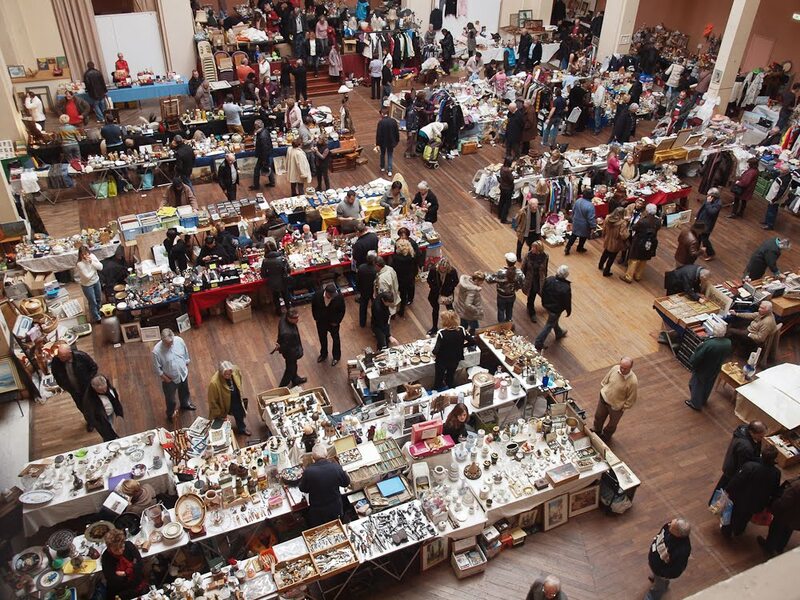 Each year the Rotary Club of Menton organises a giant flea market (known as the Broc-Troc) at the Palais de l'Europe. By the end of the weekend, 5000 visitors had browsed and bought from the 130 stands. Chaque année, le Rotary Club de Menton organise une grande brocante (connue sous le nom Broc-Troc) au Palais de l'Europe. À la fin du week-end, on comptait quelques 5000 personnes qui avaient visité ses 130 stands et y avaient fait des achats. I'm surprised my radar didn't pick this up....I absolutely ADORE this kind of fair. I can't believe it! I'm on the picture!! I'll tell you where next saturday..:o)I tried to see if you were there but did not think to look up! Malyss, isn't that incredibly! Maybe I have more shots of you and don't know it?! Write and tell me which is you as I won't have the photos with me on Saturday (write privately if you prefer). 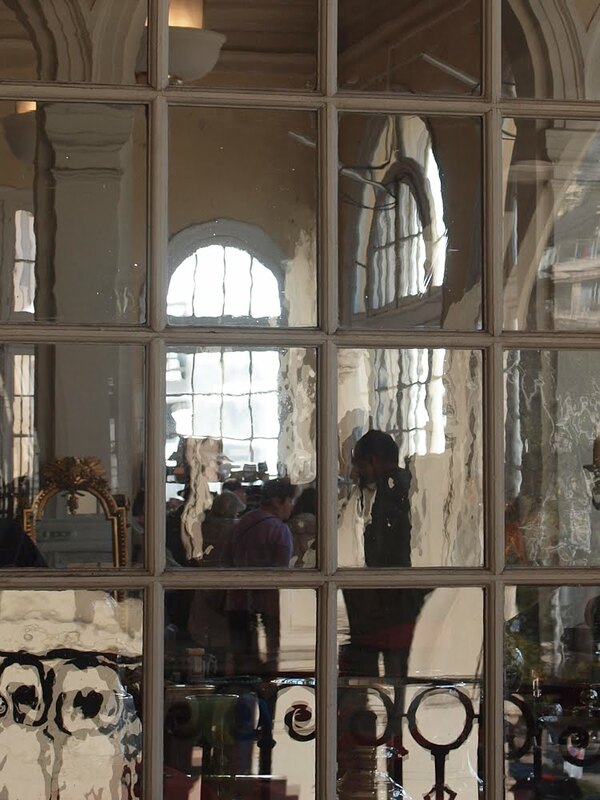 I love this type of thing... Oh to be in Menton!!!! What fun. I love that first shot, Jilly. Wow, that is an amazing turn out! That fuzzy effective through the glass windows always pleases. A nicely chosen image for the posting, J. The first photo is stunning with the wavy reflections and distorted view through the glass. Another great photo, Jilly. I have only been there for the orchid show during the lemon festival and, I am ashamed to say, I never noticed the beautiful windows. Leave it to You! What a magnificent photo the first one is,, dreamy watercolor quality. This series of the 'grande brocante' I have a feeling is going to be fantastic with an opening photo as you presented here.